Human Science Integration Seminar Project, which is organized by the Science Integration Program- Humans of the University of Tokyo, has been providing seminars once or twice a month since April 2005, presented by the university students and researchers of diverse departments and graduate schools related to human science in order to embody research community and knowledge base towards human science integration, with the help of the web-based contents management systems. 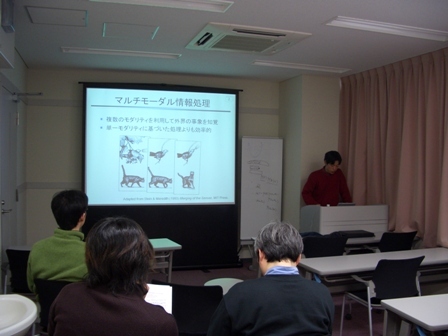 Information and communication technology enabled this interdisciplinary seminar project involving diverse members of the University of Tokyo, and participants affiliated with universities and research institutes including National Institute of Advanced Industrial Science and Technology (AIST), RIKEN, Kyoto University, Tokyo Institute of Technology, Saitama University, and Hiroshima University. The research community on human science has been growing in the project. This project proposes effective methods for increasing access to scientific knowledge through everyday practices of science and engineering. It might look as if local project, because we act locally, but our method extends local activities to gloal sharing of scientific knowledge, provides open availability on a sustainable basis and facilitating reuse of publicly-funded scientific information. For further information, please see the 'About' and 'Records' sections from the Main Menu on the left.